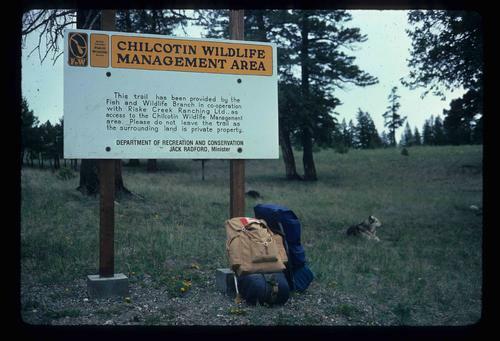 Image depicts a sign titled "Chilcotin Wildlife Management Area" somewhere near Riske Creek, B.C. 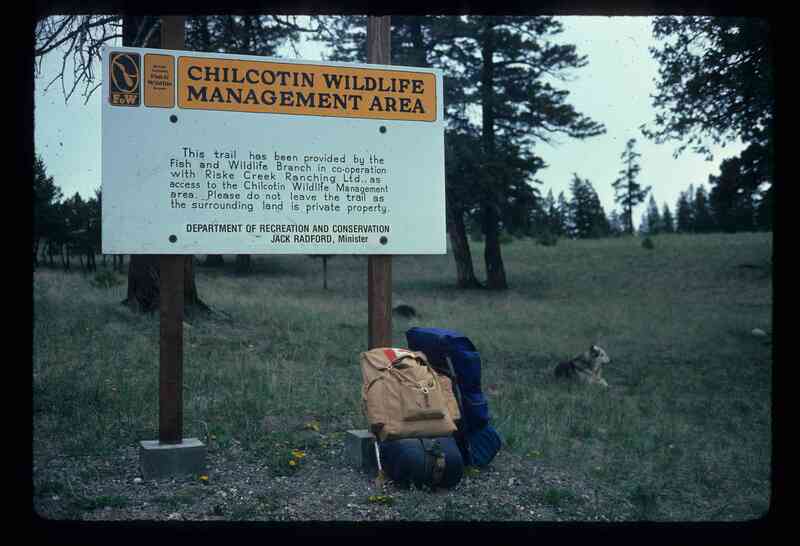 It reads: "This trail has been provided by the Fish and Wildlife Branch in co-operation with Riske Creek Ranching Ltd., as access to the Chilcotin Wildlife Management Area. Please do not leave the the trail as the surrounding land is private property."